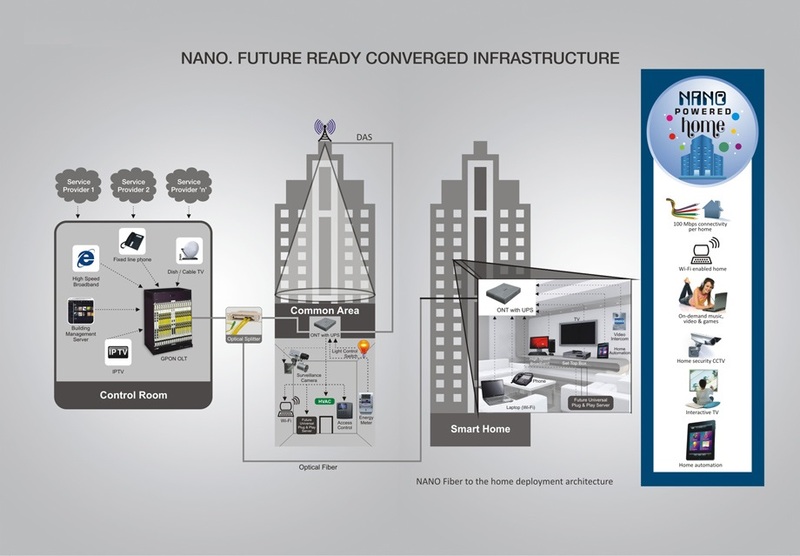 NANO™ - Neutral Access Network Operations is an Open Access Network whereby any number of Service Providers can simultaneously provide any number of services through a single fiber, without losing their individual identities. This is our proprietary technology developed by our versatile R & D professionals. It is unparalleled in terms of scope, utility and choice in your hands. Your home will have a value beyond compare with the NANO™ wired world. 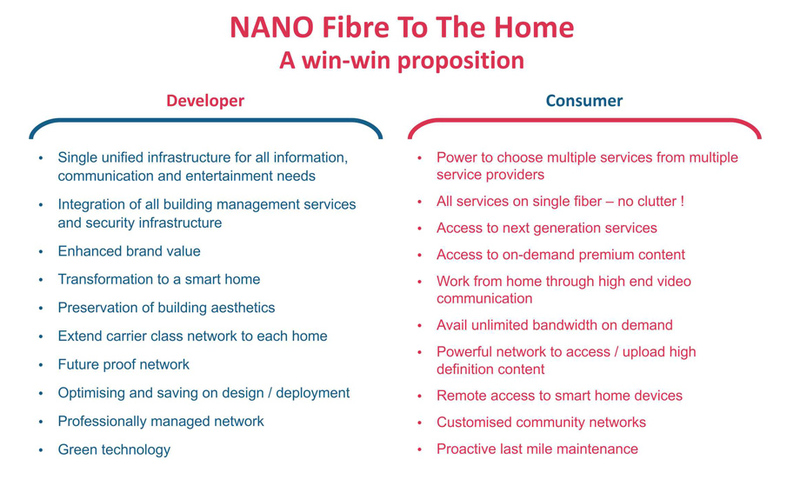 NANO™ goes an important step further by utilizing its proprietary technology to transform a basic FTTH network into a shared FTTH network. As a customer, as a property developer or as part of the city/state governing body you will reap numerous benefits.